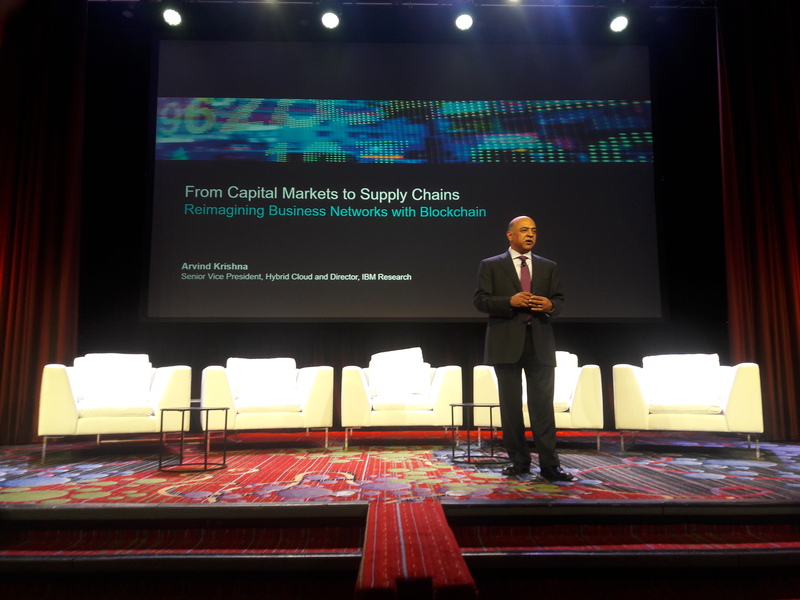 Blockchain technology is poised to recover billions of dollars lost to coordination costs in both capital markets and the shipping industry, according to Arvind Krishna, the director of research at IBM. Krishna argued this point during a presentation at CoinDesk’s Consensus 2017 conference in New York. Among other projects, Krishna described a partnership with Maersk, a Danish transport company, which he says will cut costs by streamlining the checks that shipping companies are required to go through as they transport goods across international borders. A typical shipment, according to Krishna, must pass the scrutiny of about 30 organizations during its circuitous journey to the market. Every hold up in this process nicks dollars off the profitability of the product. “A single piece of paper, if it’s missing when it arrives in Rotterdam, means that a container full of avocados just sits there. A few days extra of sitting there and you’ve got to throw out the whole container because you’ve crossed the limit of how long those goods can sit there without being considered spoiled,” said Krishna. Blockchains, he went on to say, are an ideal platform for aggregating and transmitting the certifications required at each step along the way and could shave twenty percent of the cost from international shipping. Arvind also touted blockchains as a solution for verifying that diamonds originate from conflict-free zones and mentioned that Walmart is looking into the technology as a way to track and verify organic products. He further argued for the potential to cut coordination costs in capital markets by using blockchains as a common ledger for finalizing settlements in derivatives markets. The struggle, according to Krishna, will be to craft blockchain applications in a way that is intuitive to people outside the enthusiast bubble. Increasing usability will be key, he argued. “Making it scalable, making it easy, making it possible for a lot more people to adopt the technology is where a lot of technologies and companies flounder,” says Krishna.